This savory steak-filled salad recipe is perfect for those hot summer days when you want a good steak, but you don't want to grill in the heat. And with a variety of veggies, this salad is something you can feel good about eating. Marinate the steak strips in a 1/4 of the bottle of Italian dressing for 1 hour in the fridge. Remove from dressing and cook in olive oil until done. Cook pasta and drain and rinse. Chop all vegetables. 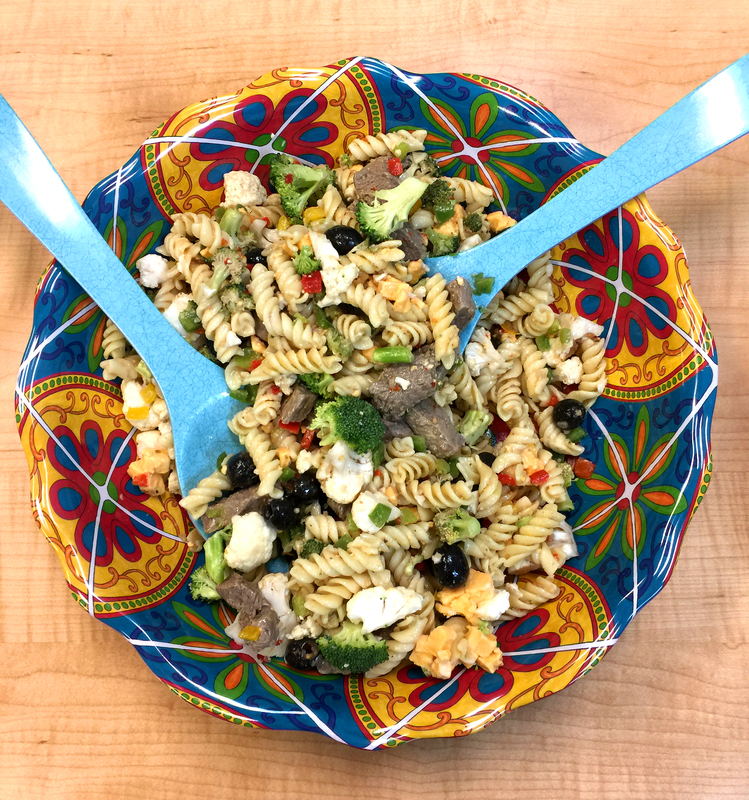 Mix steak, pasta, and veggies together in large bowl. Add remaining Italian dressing and black olives. Toss until well mixed. Cover and chill for at least three hours or over night. **This recipe was submitted by Melissa Brogdon of Robinson, TX.